ASME/ANSI B16.5 (NPS 1/2 to 24) weld neck flange bevel (with no backing ring) for wall thicknesses (t) from 0.19 to 0.88 in (4.83 to 22.35 mm). ASME/ANSI B16.5 (NPS 1/2 to 24) weld neck flange bevel (with no backing ring) for wall thicknesses (t) >0.88 in (22.35 mm). 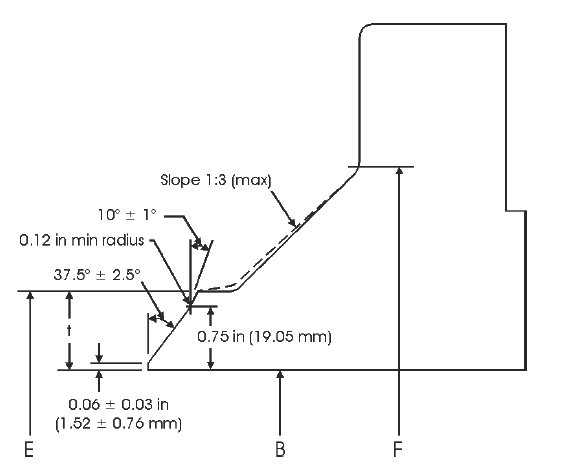 ASME B16.47 and MSS SP-44 (>NPS 24) weld neck flange bevel (with no backing ring) for wall thickness (t) = 0.19 to 0.88 in (4.83 to 22.35 mm). 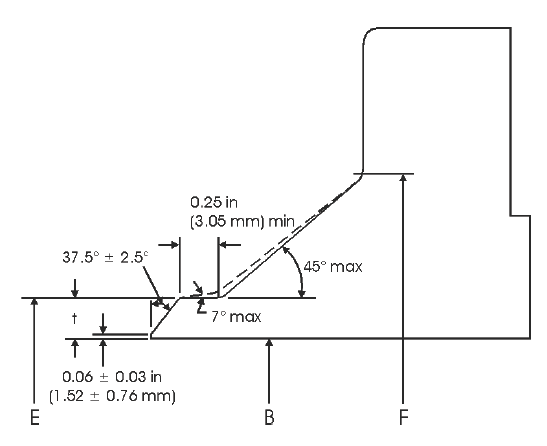 ASME B16.47 and MSS SP-44 (>NPS 24) Weld Neck Flange Bevel (with no backing ring) for Wall Thicknesses (t) > 0.88 in (22.35 mm). 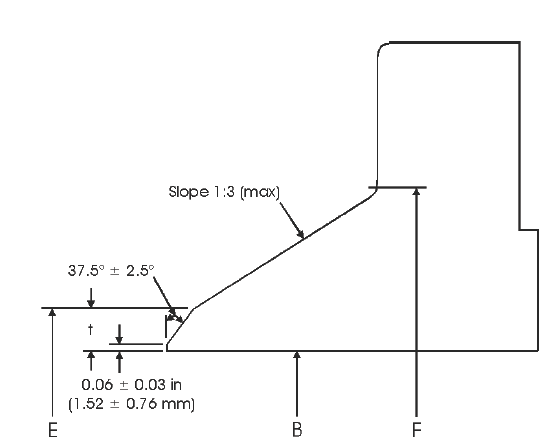 -t = Nominal wall thickness of the pipe. 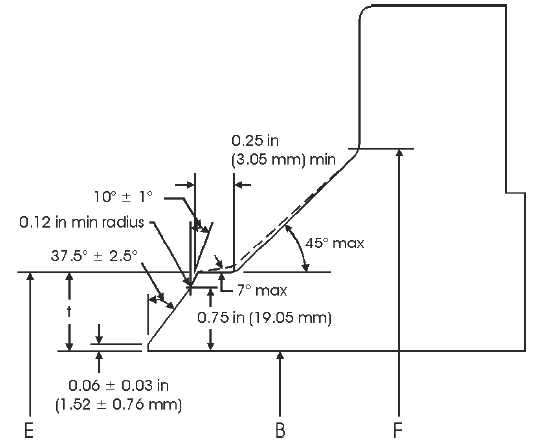 Additional thickness at the weld bevel (up to 0.5 x t) may be provided on the inside or outside diameter (or partially on both) of the hub if it is used with light walled higher strength pipe. 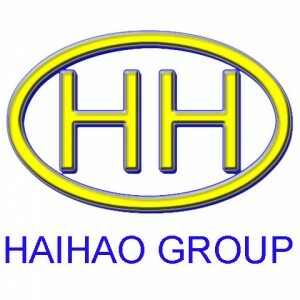 Hub diameter, F, may also be increased.